You probably comfort-eat even if you are unaware of it. Comfort eating is also known as emotional or stress eating. It's the practice of using food to make yourself feel better. If you are, gaining weight but do not understand why then it may be that you are eating to calm your emotions. If so, keep reading to get a deeper understanding of what's going on, and pick up some tips on how to stop comfort eating. For instance, eating a sweet treat as a pick-me-up or snacking on sugary and salty junk foods when you are hormonal. This may be okay small doses and it generally does not pose any danger for otherwise healthy people. Yet, you can quickly develop a habit and you may lose sight of any way outside of eating to self-soothe. Comfort eating throws you into a spiral of declining emotional and physical health. When you eat to soothe yourself, you're often plagued with feelings of guilt, which leads to more stress, which leads to more eating. It's a dangerous cycle. You'll never nourish emotional hunger with food. For that reason, emotional eaters tend to have a hard time finding food that satisfies them. They often find themselves continuing to eat long after they feel full. They mindlessly continue eating as if in a trance without even enjoying the food they are eating. If you eat when you are not physically hungry, then it is likely you are eating for emotional reasons, not physical ones. Emotional hunger comes on suddenly and feels overwhelming and urgent. Emotional hunger craves specific comfort foods like sugary snacks and junk food. Emotional hunger leads to mindless eating without enjoyment or satisfaction. Emotional hunger is not located in the stomach but rather the brain so there are no hunger pangs to quell or growling to quiet. One reason that people turn to food for comfort is due to biology. The stress hormone cortisol floods the body during periods of high stress. Cortisol, in turn, makes your body crave carbohydrates, sugar, and fatty foods. In other words, food is soothing because of the chemical changes it makes in your body. Much like the high achieved via illicit drugs, the natural feeling of euphoria and energy from chocolate is only temporary, and then there is a massive crash. Another reason why food is often comforting to people is due to the memories we usually associate with certain smells and tastes. Fresh baked chocolate chip cookies, mom’s famous pot roast, and even buttered popcorn often have happy or relaxed memories associated with them. It is the feeling of remembered comfort that one hopes to recreate by eating that food again. Eating also brings comfort through the simple distraction that it provides. The repetition of moving food to your mouth and then chewing can take your mind off whatever is stressing you out. If you add to that the convenience fast food on every corner, it becomes much easier to soothe through eating rather than putting in the effort to find healthy ways to deal with stress. The first step to learning how to stop comfort eating is being aware that you are doing it. Awareness is key to a higher way of life. You need to understand when and where you stress eat. To do this, you should keep a food journal. Do you turn to a specific kind of food when you're not really hungry? If you are comfort eating because you are lonely or depressed, try reaching out to somebody who always makes you feel better. Do something that brings you joy such as playing with a pet, following a hobby, or looking through mementos and keepsakes. Use nervous energy that is making you feel anxious or restless by exercising (also great for reducing cortisol). Listen to music, dance around your living room, take your dog for a walk or hit the weights. Put that energy to a directed use rather than allowing it to make you comfort eat. If you are feeling exhausted or overwhelmed, try taking some time out for yourself. A hot bath with essential oils and candles is soothing to many. A hot cup of tea, your favorite music, and a warm blanket or weighted blanket are other wonderful suggestions for comforting yourself. Feeling bored is a common trigger for emotional eating. Instead of reaching for that bag of chips, grab a good book or turn your attention to an activity that you enjoy doing. If you are still bored, try one of the above techniques to keep yourself entertained. How long it has been since I last ate? Did my hunger come on all of a sudden or has it been gradually growing? If it has not been long since you last ate, your tummy is silent, and your hunger seems to have sprung out of nowhere, it is a relatively safe bet that you are eating for emotional reasons. Another helpful hint is to rate your hunger on a scale of one to ten. If your number is not, at least a seven you are probably eating for comfort and not for the actual need for food. 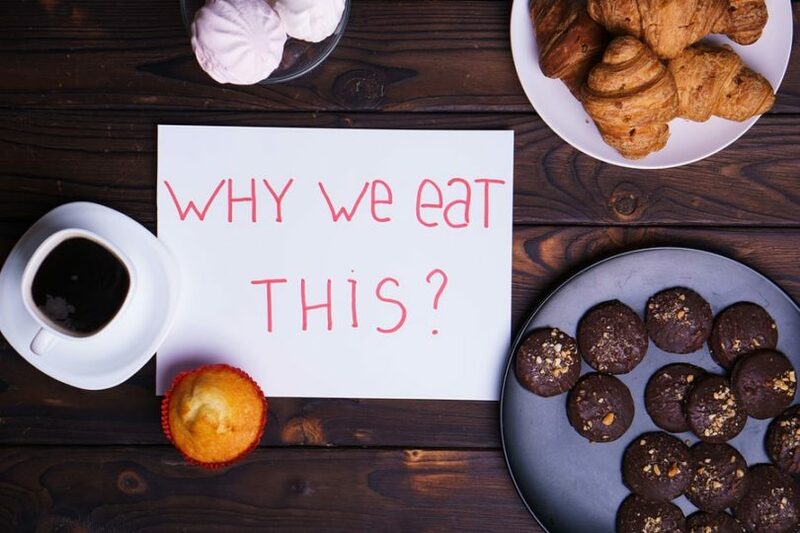 Once you have an idea of when, why, and how you use food to comfort yourself you can find healthy alternatives to replace eating as a coping mechanism. According to a study conducted by The Journal of Psychopharmacology, people who drank black tea had a 47% drop in cortisol levels over the 23% that saw drops with a placebo. Thus, it is safe to believe that black tea lowers cortisol levels. A drop in cortisol will, in turn, lower your desire for the junk foods that cortisol tends to make your body crave. Another study published in the International Journal of Neuroscience, self-massage slows the heart rate and lowers cortisol levels in the body. Learning how to give yourself a massage is an ancient practice and is highly recommended. Not only will this help you reduce cortisol, but it is also an immensely relaxing feeling in and of itself. Click the hyperlink above to get full directions. Following an anti-inflammatory or alkaline based diet that is low in processed foods and high in antioxidants, fiber, and essential nutrients are also helpful in reducing cortisol. So, if you do feel the need to munch during periods of stress, do so in a way that actually has a chance at reducing that stress. Foods like fruit, berries, melons, and vegetables, found as close to the natural form as possible – are all excellent choices. Just remember to practice other methods of mindfulness and conscious relaxation to deal with your emotions. 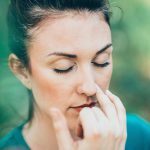 Concentrated breathing exercises like alternate nostril breathing are wonderful ways to ease stress. By slowing your breathing, you can fool your body into thinking you are going to sleep and thereby help it to relax. 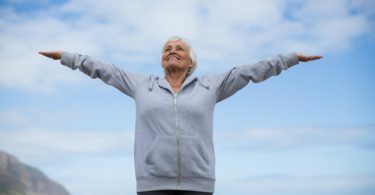 Focused breathing – concentrating on the careful inhale and exhale of air from your lungs – can distract your mind from the problems that are causing stress. The point of these exercises is, after all, to find ways to deal with stress in a healthy manner. It will do you no good to find more ways to ignore your stress. 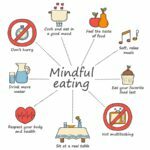 Mindful eating is the practice of developing your awareness around your eating habits. It allows you to pause between your triggers and your actions. If you are an emotional eater, you will feel trapped by your cravings. The emotional pull to eat can be very powerful and hard to ignore. 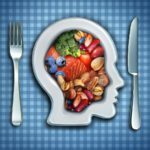 If you have tried to conquer the urge to feed your emotions and have failed, mindful eating is the answer. Mindful eating can help you build your confidence and realize that you control your eating … not your emotions. Try forcing yourself to wait before grabbing that snack you are craving. If you can hold off for one minute you can probably last for five minutes and if you can wait that long then what is another ten minutes. The longer you put off giving in to your craving the better. Every minute you stand firm is another little success. Use that time you are waiting to examine the why behind your craving. Examine how you are feeling and what is going on in your life at the moment. Even if you give in to your craving, you will have a better understanding of what caused it and how to avoid it in the future. Consider what the health value of every item you add to your shopping list is. And stick to it to avoid impulse buying while you are shopping. Fill most of your cart in the produce section and avoid the center aisles – often heavy with processed, junk foods. If you skip out on meals then you may be so hungry when you get to the table that you are overly eager to fill yourself rather than enjoying your food. Eat slowly and savor every bite. Your body does not require the amount of food you think it does. Only fill your stomach to 1/3 full. The correct ratio in the gut is 1/3 food, 1/3 liquid, and 1/3 space. You need space to digest food properly. The ideal portion size is what you can hold in your two cupped hands joined together. Pause for a moment before you begin eating to think about all that went into bringing that meal to your table. Silently appreciate the food and all the people who made it possible for you to have the food (farmers, truck drivers, grocers, and whoever prepared it for you). Then make a conscious effort to enjoy your food. While you are preparing, serving, and eating your food pay attention to everything about that food. The texture, color, and aroma of each ingredient and the foods that you make with them should be part of your eating experience. Eating is should be an experience that you remember not a mindless automation. It is easier to completely taste your food if your mouth is not full. Putting down your utensil between bites will help keep you from continuing to add more food before you have finished your previous bite. 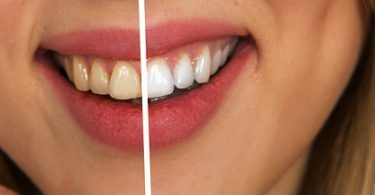 Digestion begins in the mouth and chewing creates more surface area which is vital to the nutrients. Chewing your food well ensures that you get to experience all the flavors that each food has to offer. It will also slow down your eating to help with the previous steps and allowing you to enjoy your food more. The previous steps have all aided in slowing down your eating, but it should also be a conscious effort on the part of the eater to slow down and enjoy their food. Devote at least five to ten minutes to mindful eating before you allow your attention to shift to a conversation with your tablemates. When you sit to eat, just eat. Don't read, watch television or be occupied in some other task. Just eat! Emotional eating can become an unhealthy habit. It is likely one of the leading causes of weight gain and failed diets alike. Worse, it can become a vicious cycle of emotional avoidance, guilt, and eating. Just as most people do it to some extent or another, most people do not believe that they do it at all. It is generally an unconscious reaction to stress, boredom, or other emotional excesses. While it is difficult to overcome years of habitual emotional eating, it is not impossible. It is within your power to overcome if you want to. But you must face what it is that is causing you to eat other than hunger. 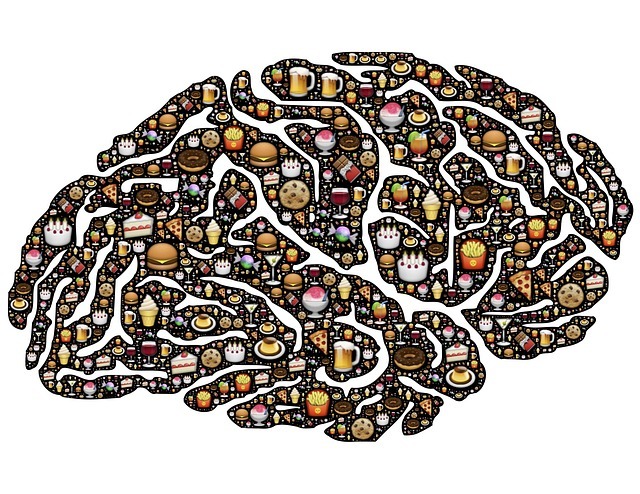 Mindful eating, breathing exercises, and reducing levels of the stress hormone cortisol in the body are all good ways to deal with stress and avoid emotional eating. There are many other ways to calm yourself without allowing calories to widen your waistline and deteriorate your health. Journaling, breathing exercises, Yoga Nidra, guided imagery, and practicing an art are all good ways to help. All it takes is a little time and a willingness to look at your emotions with open eyes. There is nothing good or healthy about eating your emotions. It is a form of avoidance that can have consequences beyond weight gain. Besides the negative effect gaining weight can have on you emotionally, using food as a way to avoid dealing with what is truly bothering you is horrible for your physical well-being. Clogged arteries, stagnant lymph, high blood sugar, and other dietary issues can become life-threatening side effects of emotional eating. That added to the toll stress can take on your body leaves you primed for cardiac and other problems. Try using the suggestions above to get control of your comfort eating. Even if you do not think that you are guilty of eating to soothe your emotions … you probably are.